Metallica is back on another leg of the Worldwired Tour and kicking it off in Las Vegas, NV. For this episode of Metal Tales From The Road, Ethan gets on the phone with listener and patron, Nick Garzolini. Nick has seen the boys perform 74 times! Nick gives Ethan a breakdown of his day in Las Vegas as a black ticket holder, getting in line early, securing a spot on the rail, his favorite 'Tallica album, favorite song, a rundown of the set list and even what song he and his Wife slow danced to at their wedding. 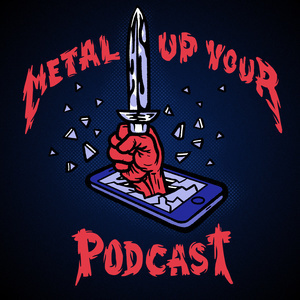 Thanks again to Nick for taking the time to chat and for supporting Metal Up Your Podcast!